Synopsis: WWE superstar Mike "The Miz" Mizanin is back as American hero Jake Carter in an all-new, thrill-packed Marine adventure! Now in the private sector, Carter is assigned to protect a beautiful whistleblower from deadly mercenaries hired to kill her. 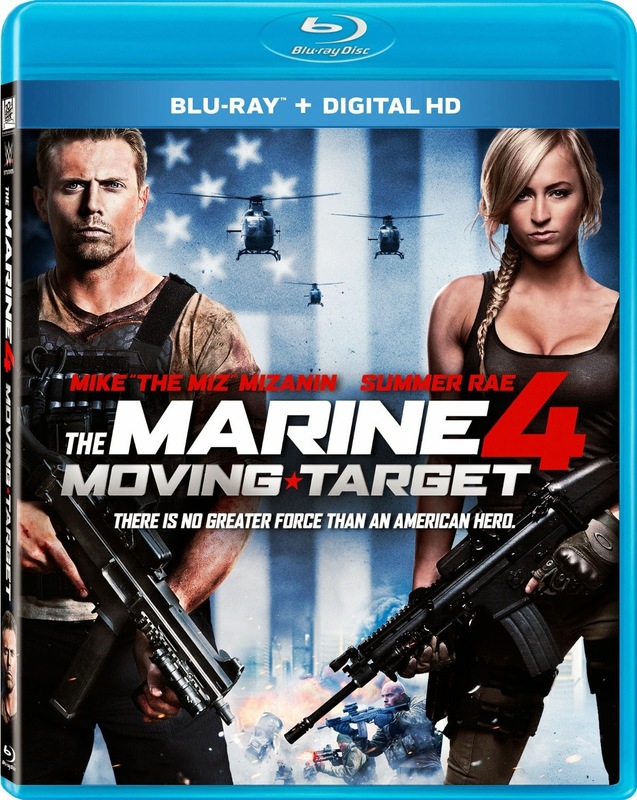 Co-starring WWE diva Summer Rae in her feature film debut, "The Marine 4: Moving Target" is locked and loaded with explosive action from start to finish. Review:The WWE has been putting out some really cool films in the recent years. This represents the 4th installment of the Marine franchise. This is also the second Marine movie featuring WWE Superstar 'The Miz'. This time, he's also joined by WWE Diva Summer Rae. Wrestling fans will immediately be interested in this one. Action fans can also sign-up, because this one starts heavy with action and doesn't stop! Its literally almost non-stop action and fun. The acting isn't amazing, but I don't look for Oscar winning performances from my action films. This one delivers with high octane thrills and lots of good times. The Batman v Superman Trailer - Redone in Timm Animated Style! This is just fantastic. Enjoy Batman animated fans! Synopsis: The hyperactive heroes are back for another round of mischief, mayhem and messy food adventures! Robin, Cyborg, Raven, Starfire and Beast Boy continue their pizza eating, video game playing, TV obsessing exploits. Join the heroes in saving the world while having a ton of fun in 26 all-new action-packed adventures! 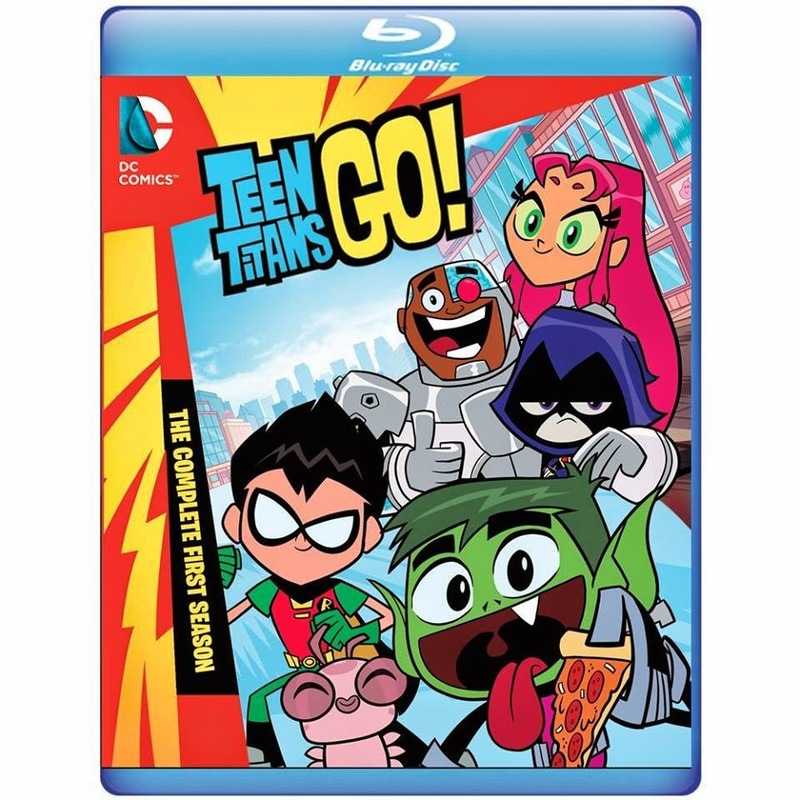 Review:The Teen Titans Go! television show has been going strong on Cartoon Network for a few years now. This DVD release collects half of season two, which is 13 episodes that have two segments each, so 26 actual individual segments. The show is a spinoff of the original Teen Titans cartoon, but this one focuses on the silly. My kids, ages 5-12 LOVE this show. They sit there laughing and laughing. I have to admit, I get quite a few laughs out of it myself. The voice actors from the original series reprise their roles, which is awesome. If you like to let go and have some over the top fun, this show is for you. Exclusive! Wider Shot of Batfleck in Costume! 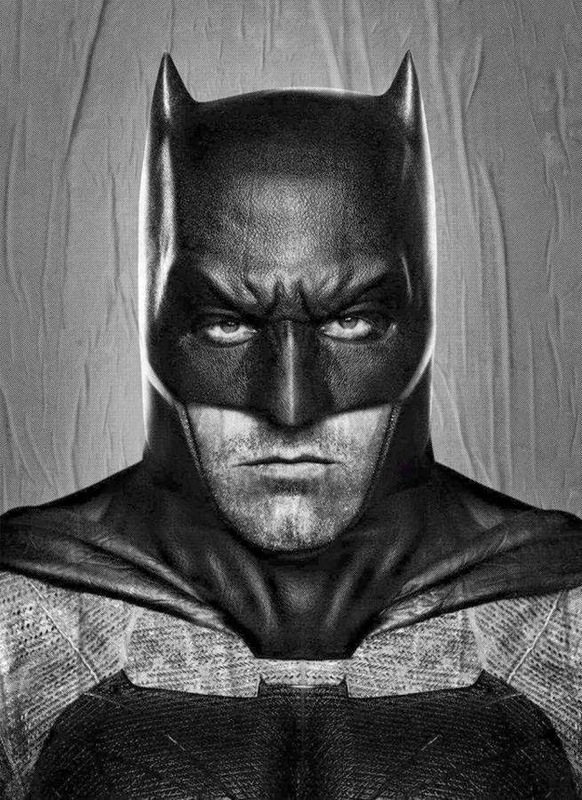 Here we get a better full look of Ben Affleck in the Batsuit! 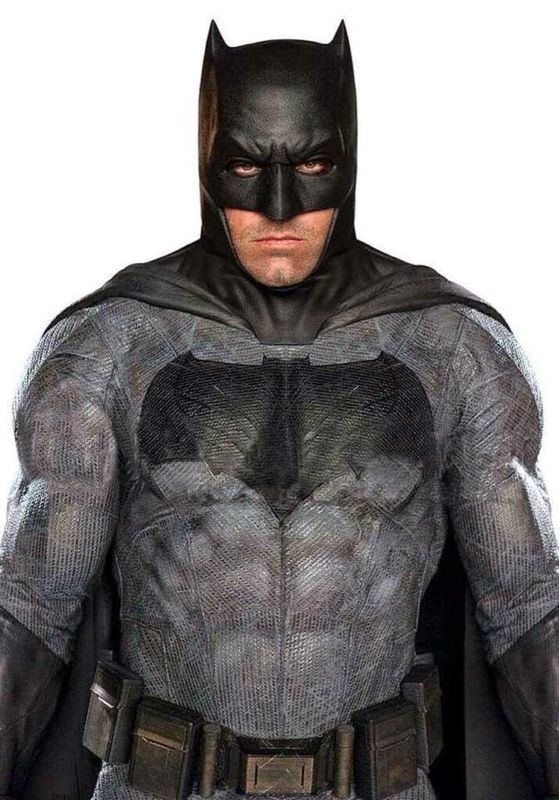 The First Official Image of Batfleck! Batman v Superman Batman Revealed! What do you think Bat-Fans? 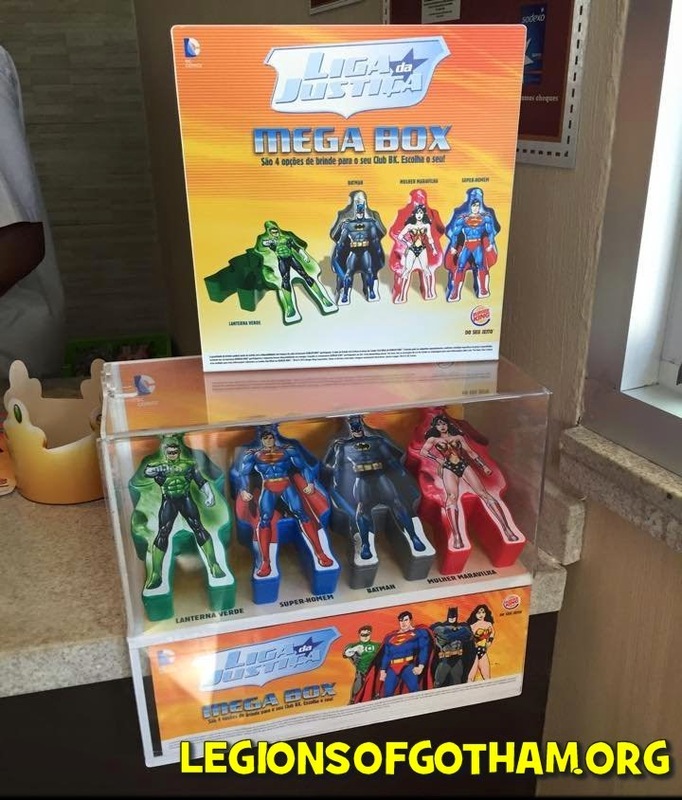 Thanks to Bat-Fan Marcio for the heads up on these and the great pics from Burger King in Brazil! 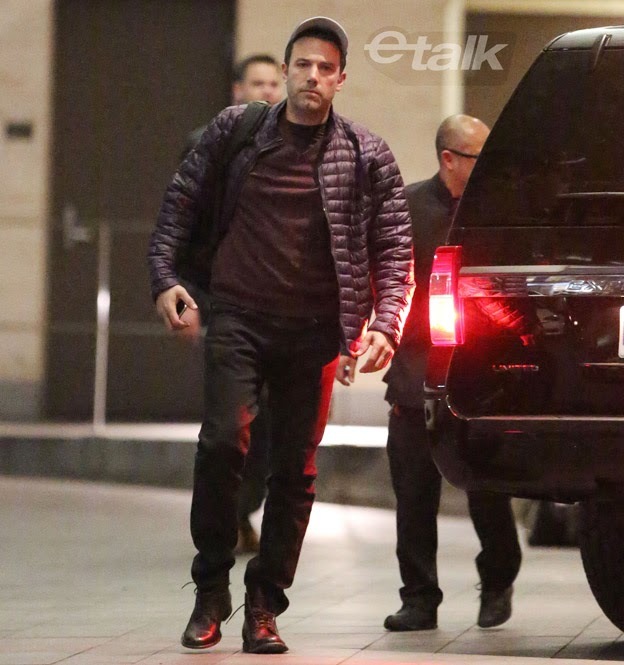 Batfleck Is In Toronto - Leto's Joker Kills Jason Todd On Screen?! Batman is in Toronto! Ben Affleck is there...and the word around the playground is that the Batmobile is there with him! According to Latino Review, he's there not only to film his Suicide Squad crossover scene(s), but also a flashback scene for Batman v Superman featuring Leto's Joker Killing Jason Todd! If this is true, they are going to cover an astounding amount of classic comic book imagery in Batman v Superman..the kind of stuff that fanboy dreams are made of. 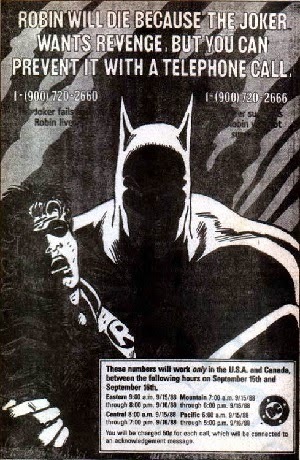 The death of Jason Todd came in Batman #427 in 1988, as part of the Death in the Family story arc. The shocking turn was voted on by comic book fans via telephone. The then less popular Jason Todd Robin was narrowly voted to death. The impact of these events gave us a much darker and more brooding Batman throughout the 1990s, as he blamed himself for Robin's untimely demise. The Gotham After Show Is On NOW! Watch it here. 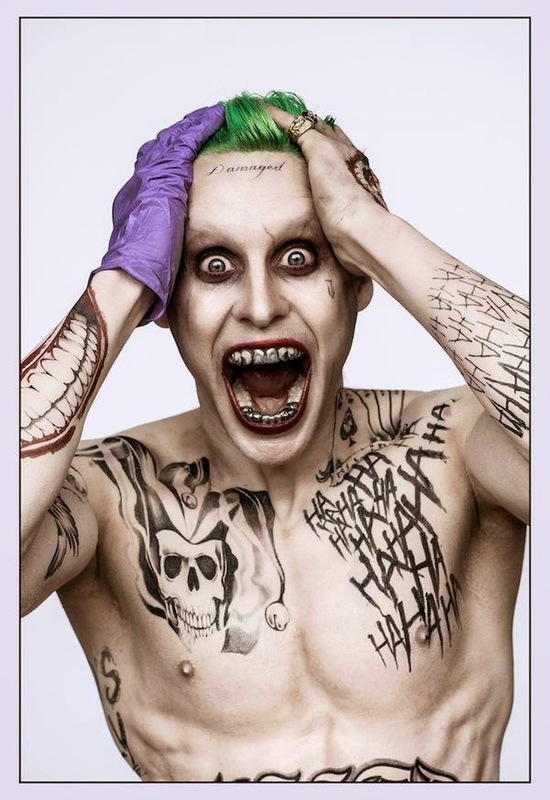 Jared Leto's Joker Won't Have Tats and Mouth Bling?! Ok, so the word is now that the image that was released was simply a fun pic for the 75th anniversary of the Joker's first appearance in Batman #1. Ok, so what they have managed to do now is make everyone mad, because if you loved the tats and bling you're now disappointed, and if you didn't like it you're turned off to the new Joker already. It just seems like this could've been avoided with a sentence or two to explain from the director when he tweeted the image. Just my two cents. 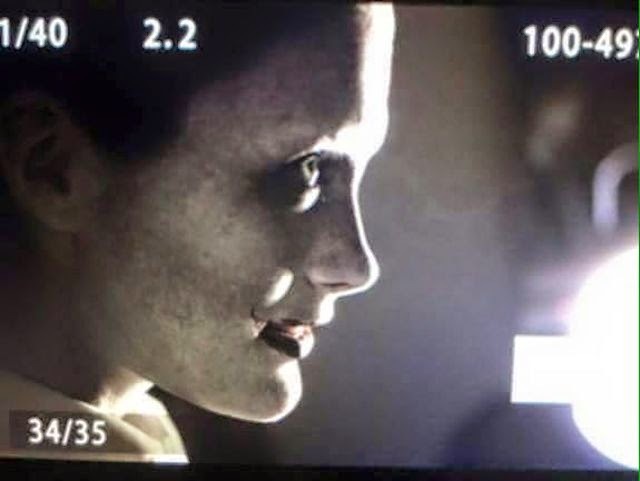 The full true Joker reveal is yet to come, but the pic below gives some insight. 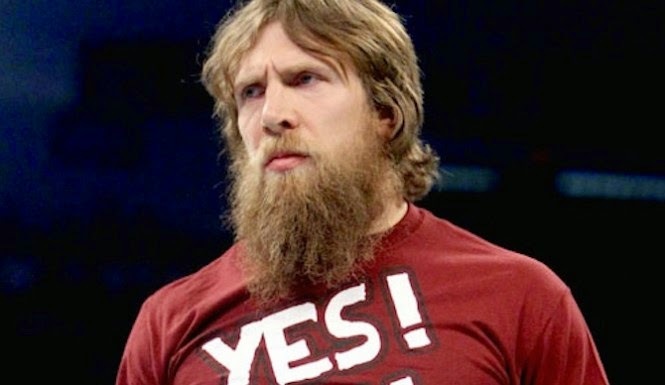 WWE Extreme Rules Update: Daniel Bryan NOT Competing Tonight! WWE has posted the news that Daniel Bryan is not fit to complete in Extreme Rules tonight! There will no longer be any Intercontinental Championship match. Bad News Barrett will now face NXT sensation Neville on the kickoff show. The NO! chants are surely welling up in your gut, but Bryan needs to take care of himself. He has rushed back into action before that neck injury was all good, clearly. He needs to take time off now, so he doesn't become the next Edge, cut down in his prime. We get to see Neville tonight, the man that gravity forgot, so that will be fun! Jared Leto's Suicide Squad Movie Joker Fully Revealed! 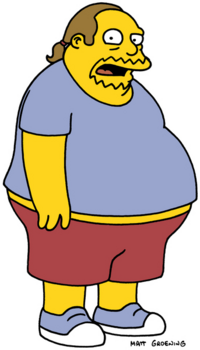 This is without a doubt the largest departure from the character we've ever had visually. I'm trying to stay open, but my first impressions are not positive. I don't understand the 'bling' on the teeth and the tattoo thing. He looks like a white trash Joker. On the other hand, Jared Leto is a fine actor with a lot of potential, so perhaps he will be fantastic, I don't know. I do know that if the Joker looks like this, I'm afraid to see Harley Quinn. Whats your opinion Batman fans? Love it? Hate it? Breaking News: Frank Miller Returing to Batman w/ The Dark Knight III: The Master Race! 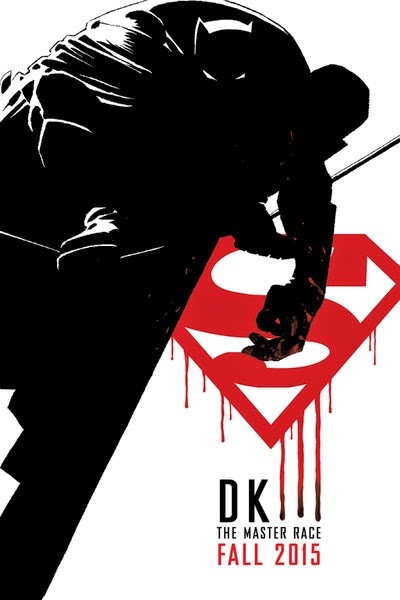 BURBANK, Calif. (Friday, April 24, 2015) – DC Entertainment announced today that bestselling, iconic Batman writer and artist Frank Miller will write the epic conclusion of the celebrated THE DARK KNIGHT RETURNS saga. DC Entertainment, home to iconic brands DC Comics (Superman, Batman, Green Lantern, Wonder Woman, The Flash), Vertigo (Sandman, Fables) and MAD, is the creative division charged with strategically integrating its content across Warner Bros. Entertainment and Time Warner. DC Entertainment works in concert with many key Warner Bros. divisions to unleash its stories and characters across all media, including but not limited to film, television, consumer products, home entertainment and interactive games. Publishing thousands of comic books, graphic novels and magazines each year, DC Entertainment is the world’s largest English-language publisher of comics. The Top 5 Most Expensive Classic Nintendo Games! 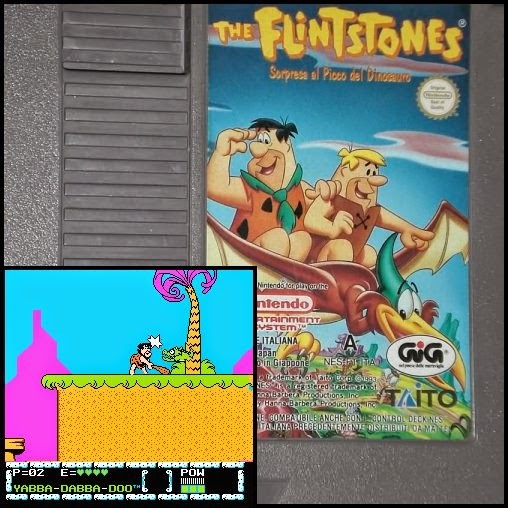 This Flintstones was a super late release in the world of NES, which officially stopped releasing new games in 1995. I honestly didn't even realize they were still putting games out in 1995. I had figured that the Super NES had long taken care of the original 8-bit system...shows what I know! This game was released in August of 1994 as a bank off of the Flintstones live action film, which was released in May of the same year. The gameplay is fun, if kind of basic, so its a solid enough game. This one is considered ultra rare for collectors. In the early 1990s mutants were all the craze! We already had Teenage Mutant Ninja Turtles and the cult favorite Battletoads, so why not run the concept into the ground, right? 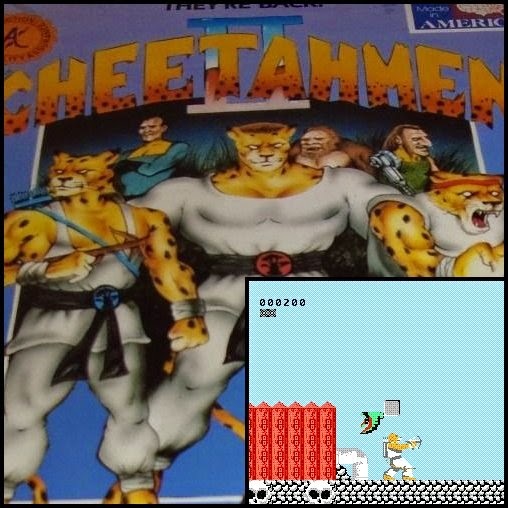 The idea for Cheetahmen was quite simple..they were three cheetah cubs that were subect to genetic research and thus grew as part cheetah and part man. Yeah. Well, the first game was somewhat successful, so they had planned on sequel, but it never saw the mass market. Then, a warehouse stash of 1500 games was discovered in 1996 and they're out there to be played. Unfortunately, the game was never finished properly and has a bug, but fans have found a way to correct that with a patch. This game was released in the year 1991 when Nintendo was quickly being thrown aside for the brand new flashy Super Nintendo. 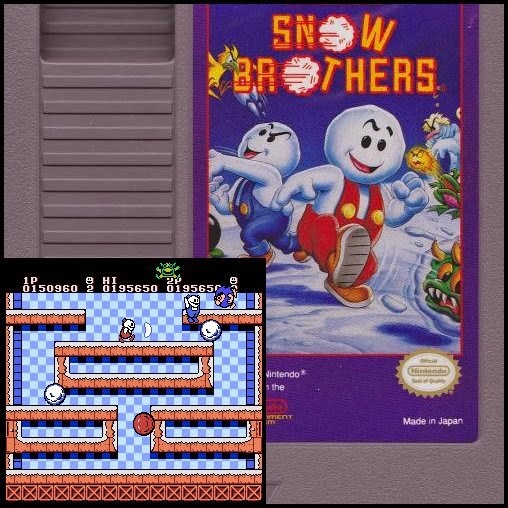 Snow Bros. was one of the first victims of the new console sydrome that we are more used to in today's gaming world. This one was based on an arcade game of the era and went on to be released on other sytems like the Sega Genesis. The gameplay on this one was kinda fun, but unoriginal. 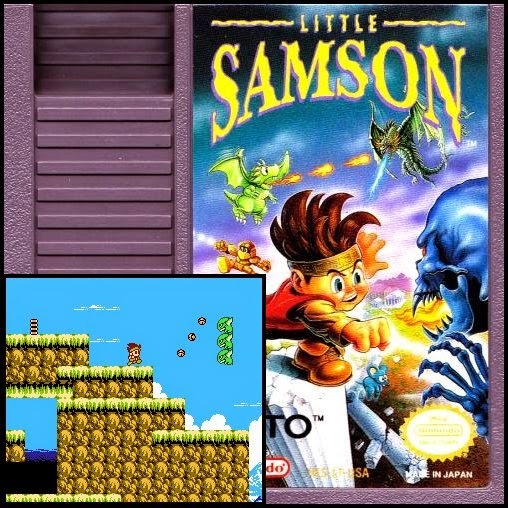 Little Samson is an exampe of a late release game for a system that was quickly becoming out-moded. The game is well known for having fantastic graphics for the 8-bit format and gameplay that was ahead of its time. The only problem is that so many kids had moved into the Super Nintendo already that this game didn't get purchased a lot, so its in short supply. This one sells all over the board from $500 to $2000...we even found an auction from March that got bid up to $5,100. You've gotta love competition! Stadium Events is the thing of legends. 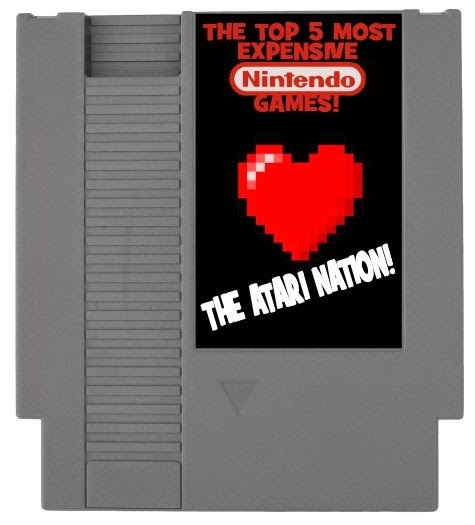 The game itself isn't all that great, but the obscurity and bragging rights make this a must for any NES completist. 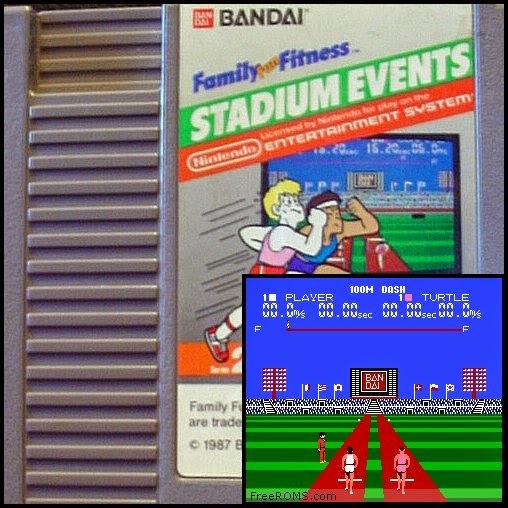 The story goes that this was one of two games that was released in the late 1980s under Nintendos new Family Fun Fitness branding, to be used with their new product The Family Fun Fitness Mat. Never heard of that? A lot of people haven't, because the product was scrapped almost immediately and Nintendo went on to release the Power Pad in its place. This game was later re-released in North America under the name World Class Track Meet, but only about 200 North American versions are estimated to have been sold, making this the rarest market release Nintendo game out there. Copies of this with or without the box can sell for high amounts. Now, don't be fooled by the international PAL version of the game. They're still valuable, but they don't fetch nearly the price that the American versions do. A factory sealed copy of this game sold on ebay this past January for over $35,000! 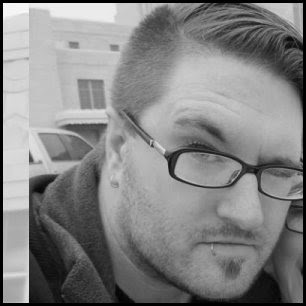 Matt MacNabb is a freelance writer and pop culture historian. You can pre-order the bust now! A Diamond Select Toys release! Batman's rogues gallery continues to grow as Catwoman joins the Riddler and the Joker in DST's line of busts, based on the Classic Batman TV Series! 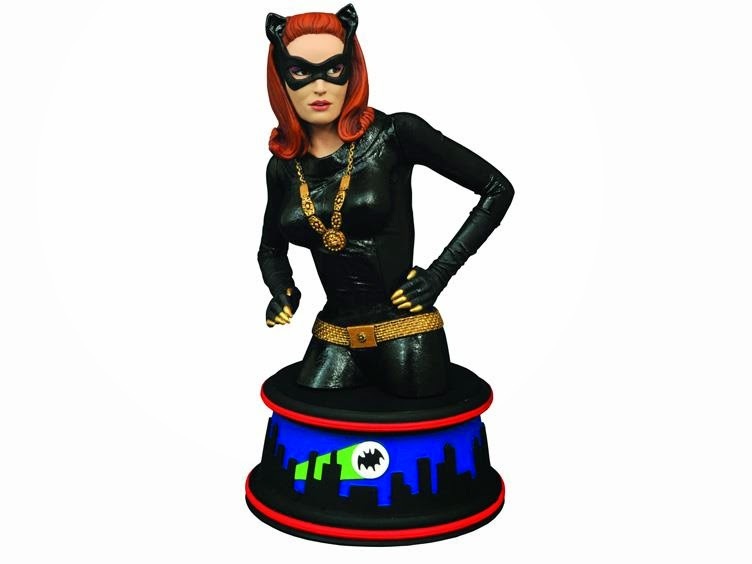 This 6-inch-tall resin bust depicts Julie Newmar as Catwoman, perched atop a colorful base inspired by the show's animated opening credits. Even with her mask on, Catwoman's hypnotizing beauty will have Batman baffled! Packaged in a full-color box with a certificate of authenticity. Designed by Barry Bradfield! Sculpted by Jean St. Jean! 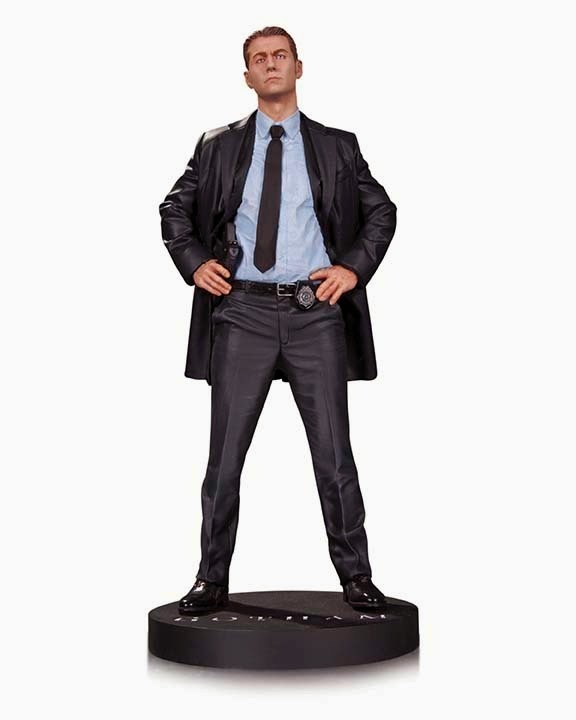 From the mean streets of GOTHAM—the wildly popular television series—comes this wonderfully sculpted statue of GCPD’s most dedicated member, Detective James Gordon! 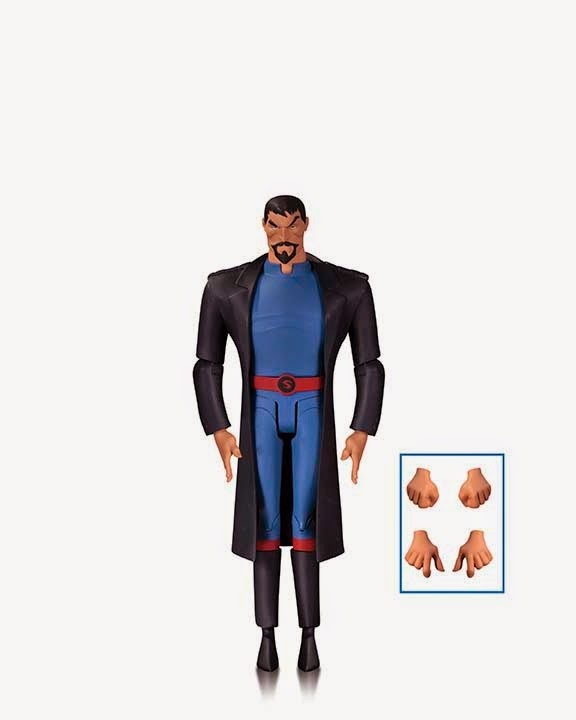 Dc Collectibles: Justice League: Gods and Monsters Batman, Superman & WW Figures! The designs from the original animated movie of legendary animator Bruce Timm are brought to life as articulated figures ready for action! Each figure comes with multiple accessories and base! 3. WONDER WOMAN – 6"
Dc Comics Icons Figures Wave One! 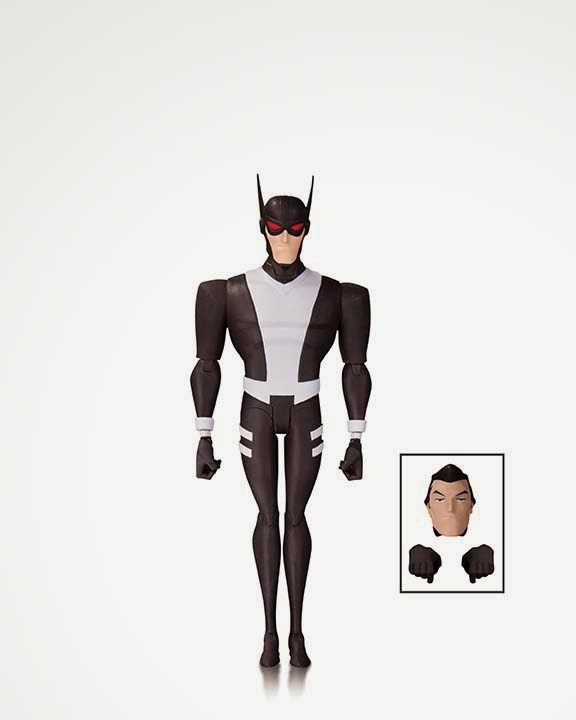 Now you can collect action figures of your favorite DC Comics characters from any era in an all-new 6” scale. This first assortment features Batman, Deadman, Green Arrow and Mister Miracle. Each figure comes with multiple accessories! 1. 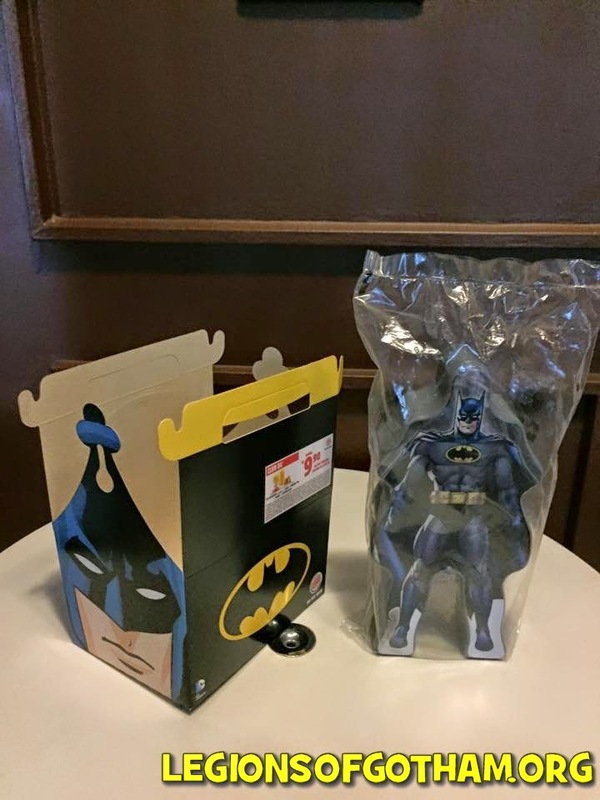 BATMAN: LAST RIGHTS – 6"
2. DEADMAN: BRIGHTEST DAY – 6"
3. GREEN ARROW: THE LONGBOW HUNTERS – 6"
4. MISTER MIRACLE: EARTH 2 – 6"
DC Collectibles Justice League Tarot Cards! 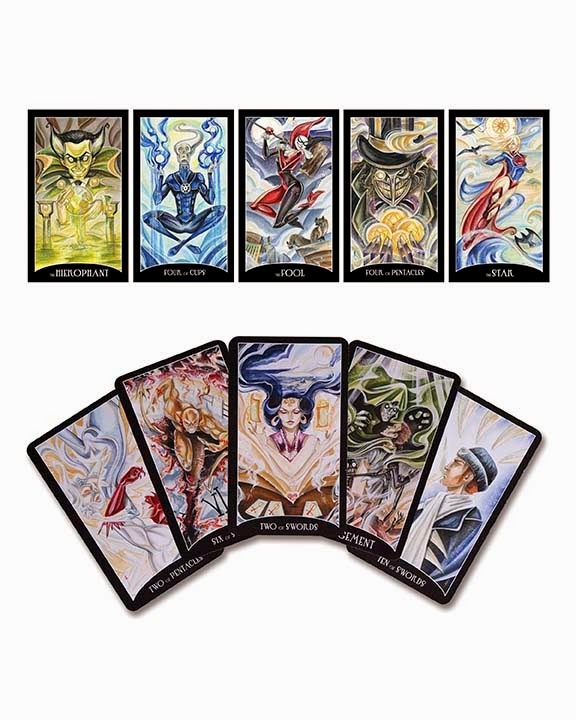 Reveal secrets and look into the future with this striking tarot card deck featuring stylized illustrations of the Justice League, which comes complete with a velvet bag. Dc Comics Bombshells Joker and Harley Statue! 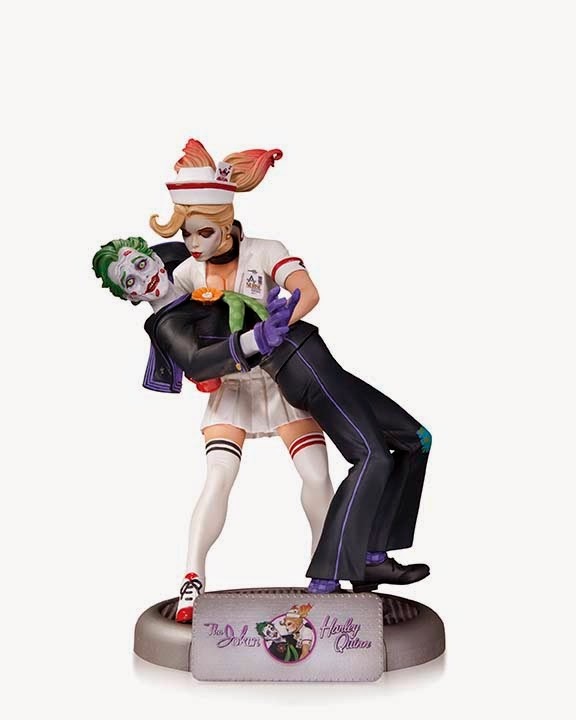 The popular Bombshells line continues with this highly detailed statue of Harley Quinn and her mad love, the Clown Prince of Crime, The Joker! 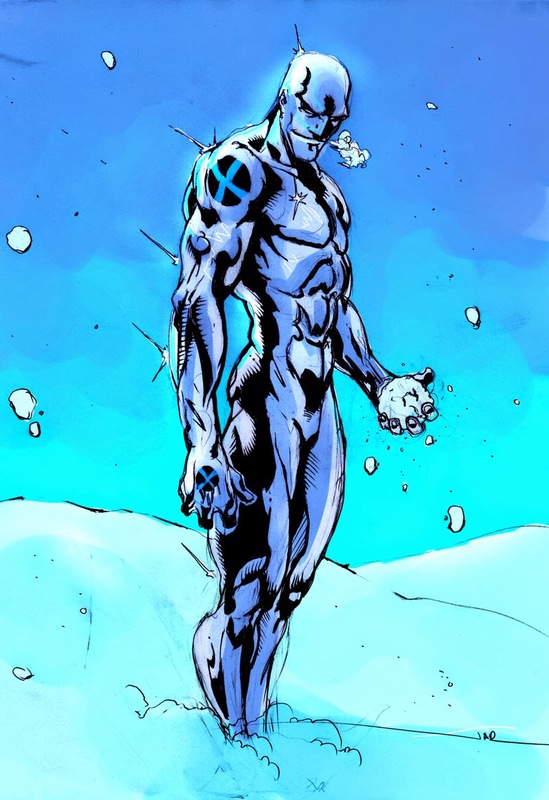 No, I'm not throwing out dated insults, the latest comic book character to come out as gay is Iceman in All New X-Men #40, due out Wednesday in stores and online in digital format. This might be the least shocking development in comics...ever! 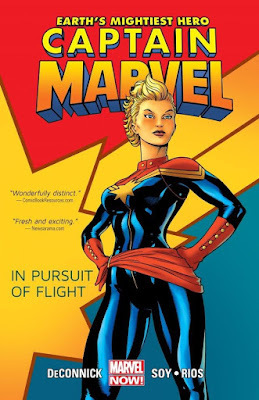 In all seriousness, though, its good whenever comic books mirror real life, so this is a welcome development. 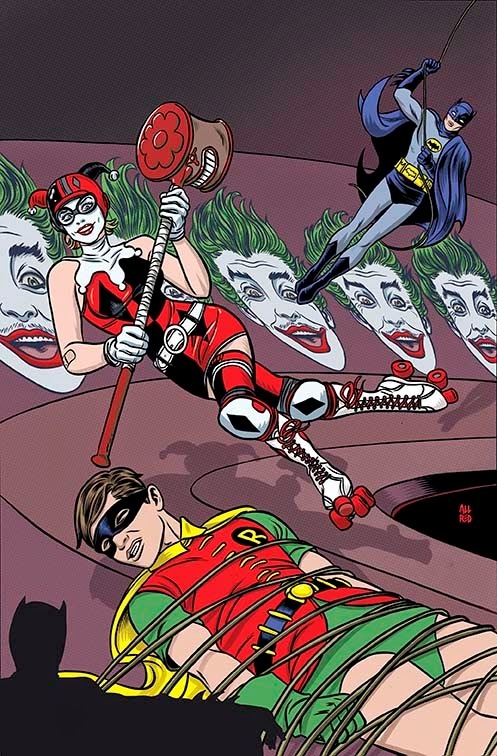 Harley Quinn Makes Her 1966 Batman Debut as the Harlequin! Driven mad by the Clown Prince of Crime’s “Joker Wave,” The Joker’s former prison doctor enters the Caped Crusader’s Rogues Gallery as The Harlequin! Then, a team of Batman’s greatest enemies takes over an advertising agency to create a new public image for themselves. But the agency has a new temp working for them…none other than Barbara Gordon, young daughter of Gotham City’s police commissioner! 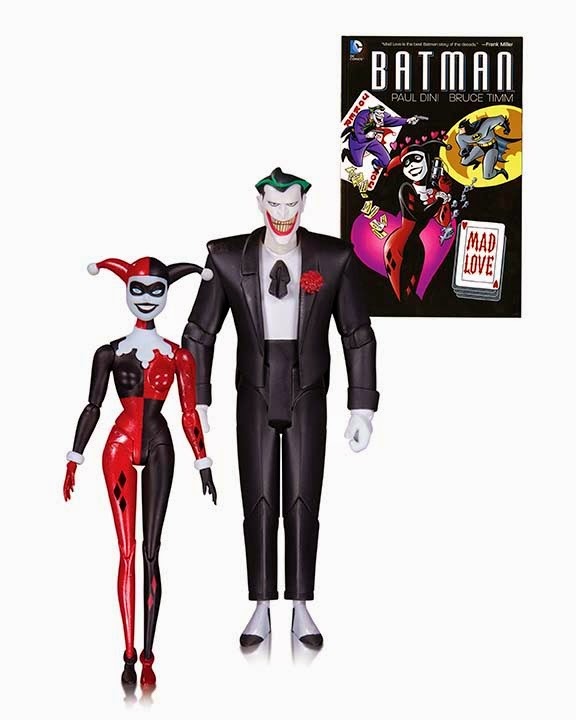 DC Collectibles Batman: TAS Joker & Harley Mad Love 2-Pack! Love can make ya do crazy things—especially if you've already got a few screws loose! Gotham City's resident inmates in love The Joker and Harley Quinn, bring mayhem into your home with this special 2-pack based on their appearances in BATMAN: THE ANIMATED SERIES! This set also includes a paperback edition of BATMAN ADVENTURES: MAD LOVE! 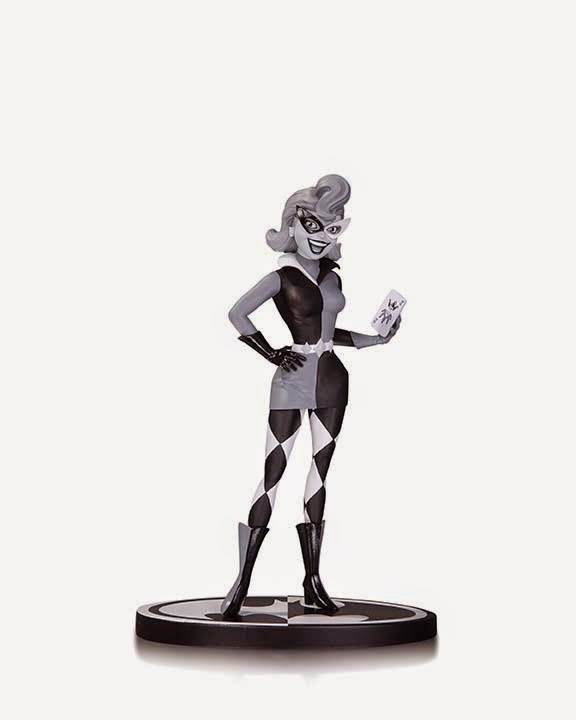 The best-selling BATMAN: BLACK AND WHITE line of statues continues with this finely detailed statue of Arkham's most adorably insane inmate, Harley Quinn—based on the original design for the character by co-creator Paul Dini! 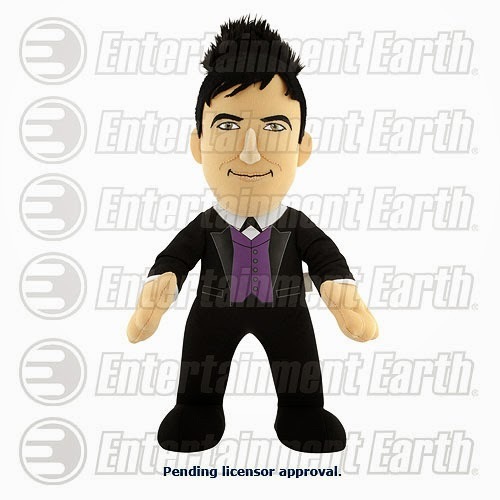 Oswald Cobblepot is without a doubt the most standout character on Gotham. This cuddly guy will be coming soon if he gets approved! Check it out. Teen Titans Go! The Complete First Season on Blu-Ray TODAY! 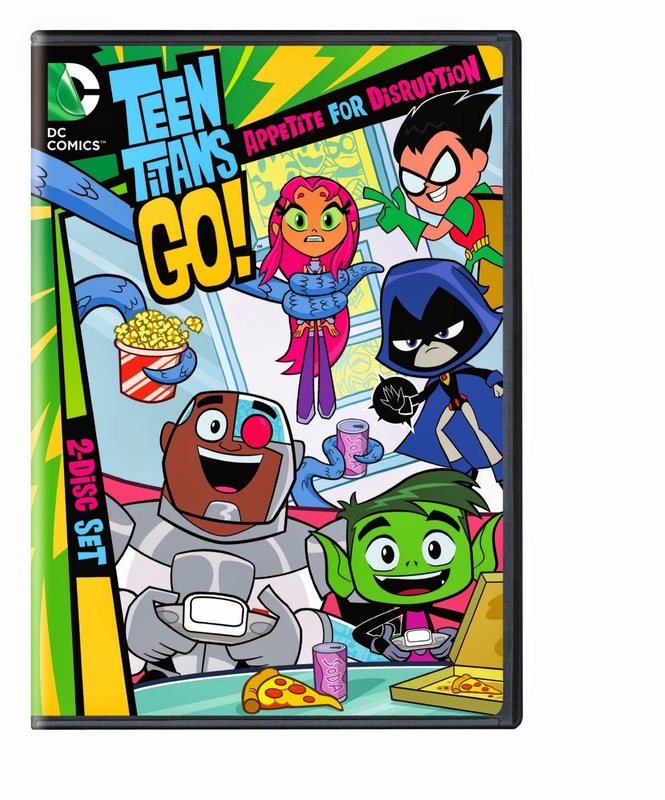 Teen Titans Go!, the popular Warner Bros. Animation television series airing on Cartoon Network, gets the full HD treatment via Warner Archive Collection when Teen Titans Go! The Complete First Season debuts on Blu-rayTM today (April 21). Orders are now available via wbshop.com. The GOTHAM After Show Is On NOW! Watch It Here! The awesome Gotham After Show is beginning..check it out! 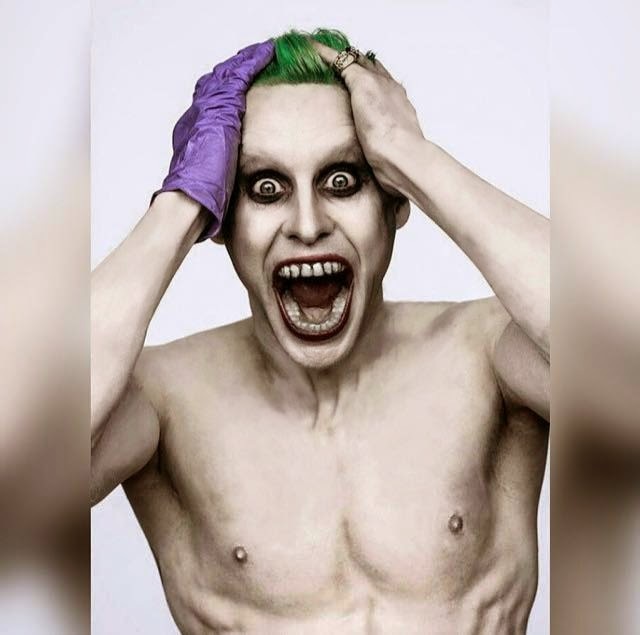 Jared Leto Accidentally Reveals His Suicide Squad Joker Make-Up! A paparazzi caught this shot of Leto showing someone the full Joker look on his phone. Its a small pic, but its one more step closer, for those hungry for Suicide Squad reveals! Watch the live Gotham After Show TONIGHT! We will be posting the link tonight to the live Gotham After Show! Check back on the LoG news blog or our facebook page for the live link! 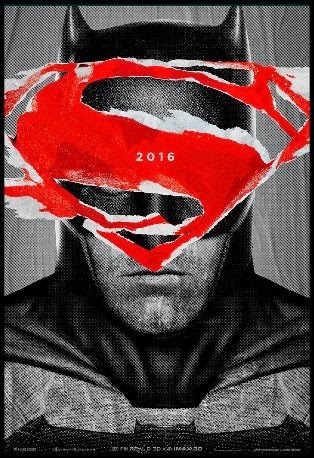 Batman v Superman Imax Shirts To Be Given Away! 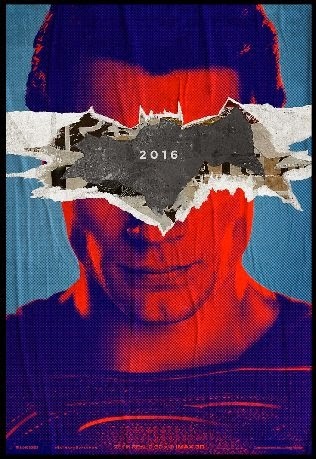 Batman v Superman director Zack Snyder tweeted out these shirts that will be available at the IMAX screenings of the trailer tomorrow night...that is if you're lucky enough to have one in your area. Send in your pics to us once you get one fans, we'd love to see the real things! AMAZING! 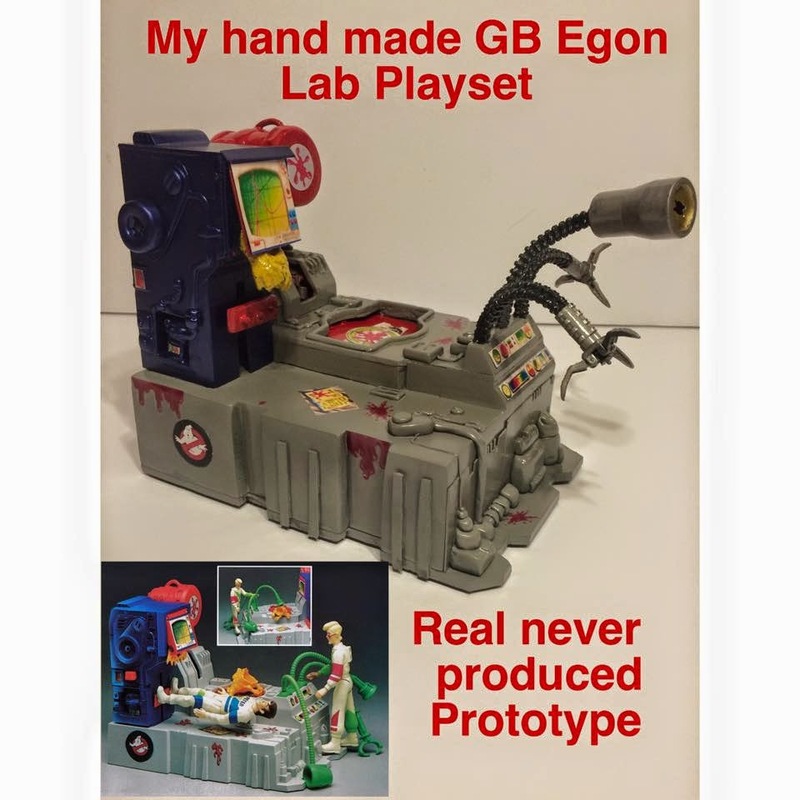 Custom Cancelled REAL Ghostbusters Egon's Lab Playset! 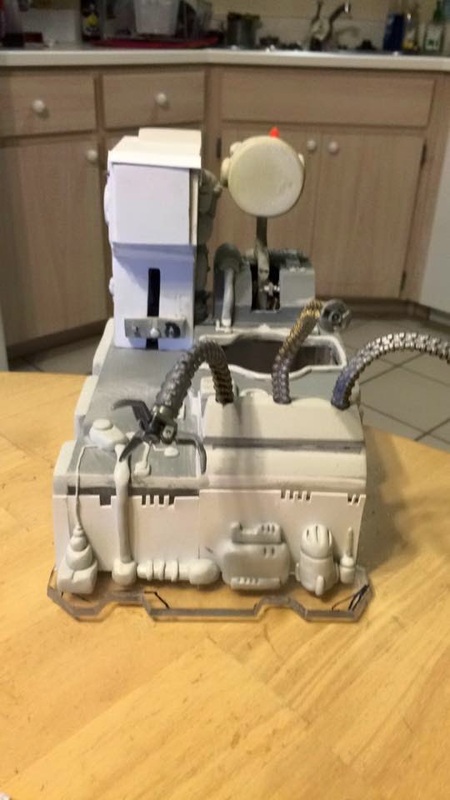 My friend and podcasting partner on the Super Collector Super Show, Robert Barbieri,has gone to the extreme effort of making his very own version of the cancelled Kenner REAL Ghostbusters Egon's Lab Playset! "This is a secret project I had in the works. 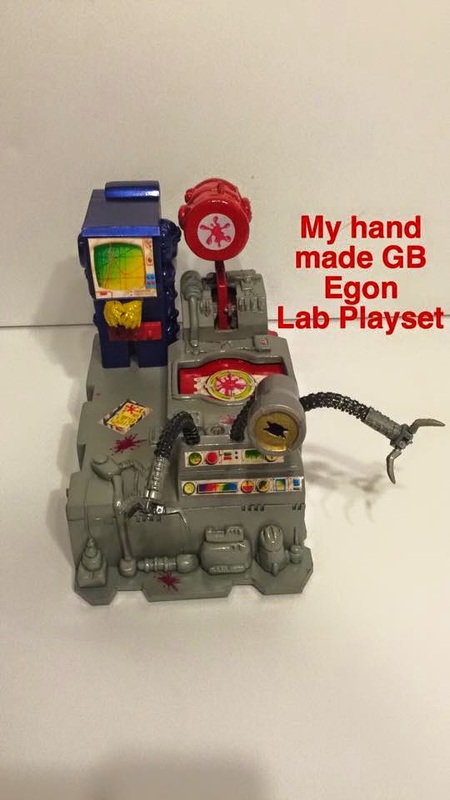 I finished my version of the real ghostbusters: Egon lab playset. 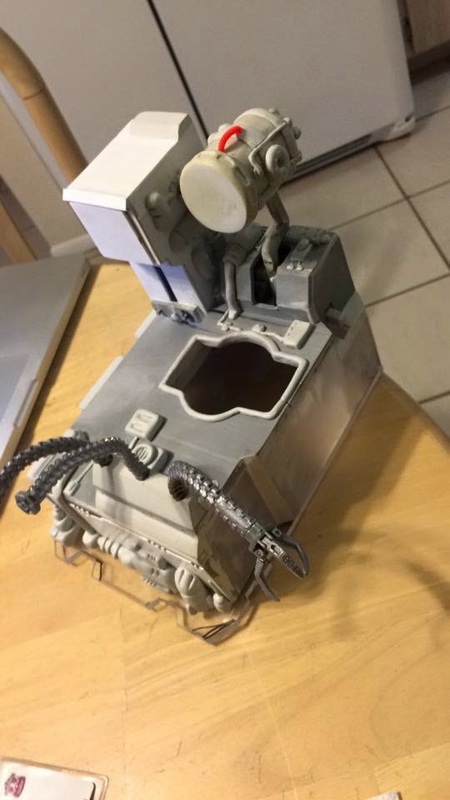 3-4 prototypes exist. The toy got cancelled with the rest of the toy line in early 1991. My version is slightly different and besides the slime stickers the rest are original scans from a real prototype owner. This was made out of glue, styrene, sheets of plexiglass and A-poxy putty. 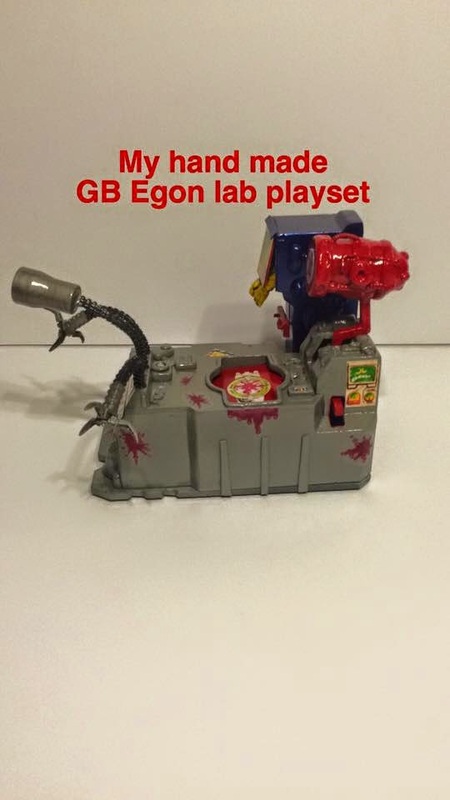 The playset works like the real one." TMNT Classics Toyline Is Cancelled! Watch the LIVE GOTHAM After-Show NOW! Workaholics: Season 5 Coming to DVD and Blu-Ray! True Detective Season Two Sneak Peek Trailer! 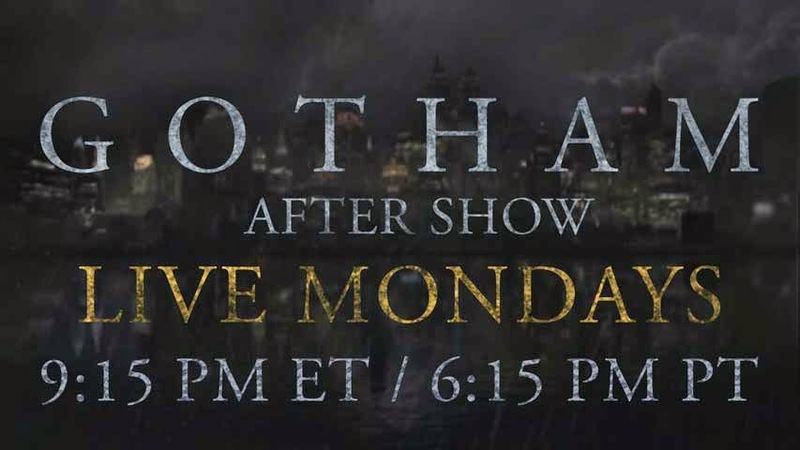 The GOTHAM Live Aftershow Coming Back Monday! Tonner to product Bombshell Harley Quinn Doll!